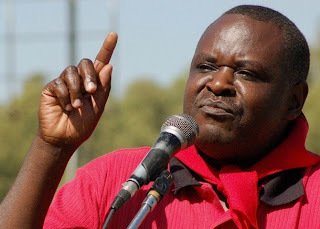 The International Socialist Organization (Zimbabwe) condems the arrest and detention of Zimbabwe congress of Trade Unions (ZCTU) President Lovemore Matombo and Secretary General Wellington Chibhebhe on the 8th of May 2008. They are being held for stirring people to rise against the government and for allegedly reporting falsehoods on innocent people being killed by ZANU PF supporters across the country. The arrest of these 2 workers leaders is unlawful as it is one amongst a hodgepodge of other dirty tactics that Zanu PF is blatantly using to intimidate workers and the ordinary people as we wait for the announcement of date for presidential run-off. 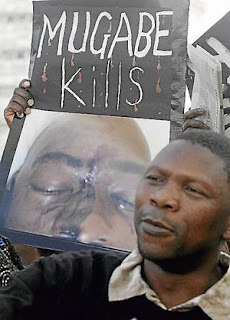 Matombo and Chibhebhe did not incite anyone into violence but rather it is Zanu PF, which has unleashed violence and torture on the ordinary citizens of Zimbabwe and some leaders. Since March 29 50 people have so far been killed, more than 4 000 people displaced and some have had their homes burnt to ashes. On the other hand, the economic situation has steeply deteriorated, hitting alarming levels. The situation promises to be much worse in the near future as the regime has adopted a full fledged neo-liberal economic line. Mugabe who all along had fervently resisted pressure from the neo-liberal hardliners within ZANU PF to open up the market and remove all restrictions on foreign exchange rates has finally succumbed to pressure and has allowed Gono to do what ever he sees as fit to repair the already patched economy. This has impacted negatively on the livelihoods of the ordinary people as already we have seen prices of commodities skyrocketing beyond what ordinary people who are earning less that $5 billion yet they need $50 billion to survive. As a gesture to its commitment to paying their odious debts, and against of all this suffering Zimbabwe has paid back US $700 million to the African Development Bank. As workers and ordinary people we say no to this payment of foreign debits. Instead the money should be used towards health, education and meeting of other basic necessities of ordinary people. The release of detained MDC parliamentarians. An end to further politically motivated violence. A minimum wage non-taxable that is linked to inflation.